This is a simple RSS reader for Windows written with Lazarus. 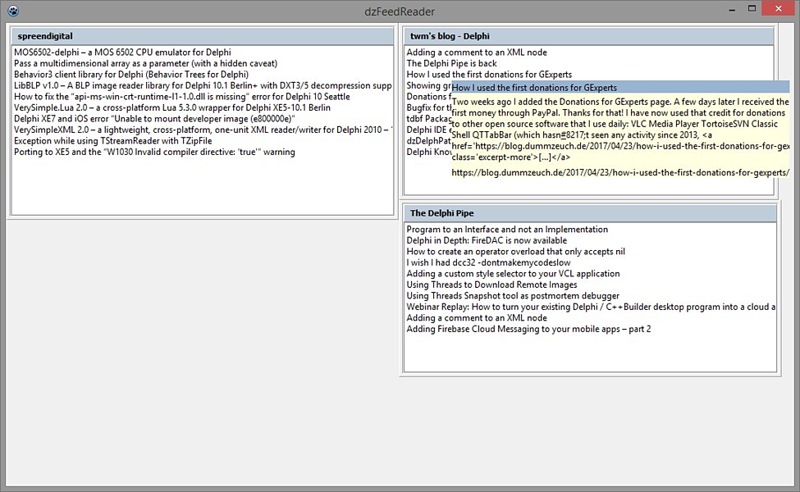 Warning: This is far from finished but it compiles and works on all RSS feeds that I have tried. It uses the dzrssparser library for parsing the feeds, so it supports rss v1, rss v2 and atom v2.